H323 dial peers play an important role in Call routing though a H323 gateway. Understanding dial peers is very crucial for Call routing or any dial plan design. 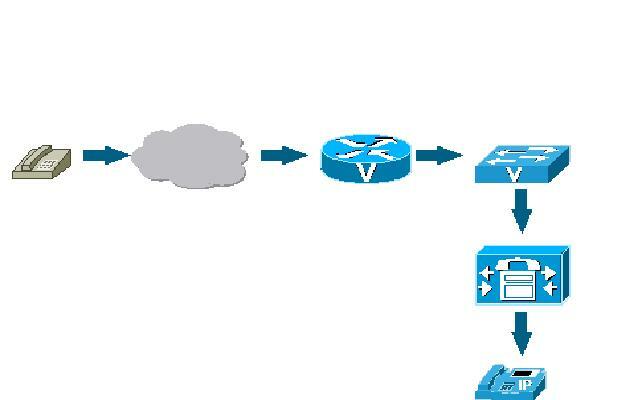 Most of the time people are confused between POTS and VoIP dialpeers and how they should be used. I will try to make the concept as easy as possible to better understand the working of H323 protocol. There are mainly two types of dial peers. The POTS (Plain old Telephony System) and the VoIP dialpeer (Voice over IP). There are two more VoFr and VoATM but they are not widely used and I will not jump into that. A POTS dialpeer matches a dialed number to an Outside port. It could be an E1/T1 , FXO port or a PBX link. A VoIP dialpeer points to a remote network device. It could be a Call manager, Unity Express, SIP Server, Gatekeeper etc. I will not go into too much technical details as that will make things complex which is not the purpose of this blog. You can always read up on Cisco if you want to dig deep. To make things simple for understanding, this is how a Call flow works. When an IP Phone makes an Outbound call, the call first meets an Inbound VoIP dialpeer and then meets an Outbound POTS dialpeer. The ‘ incoming called-number . ‘ is used to match any number coming from CUCM. I could have used ‘incoming called-number 9’ as any call coming from CUCM will have the leading ‘9’. We can also use ‘answer-address’ which is searched if ‘incoming called-number’ is not present. The ‘answer-address’ points to the calling-number which in our case would be ‘01189884443’. The dial-peer can have ‘answer-address 0118988….’, a call coming from CUCM will match this dial-peer. If there is no ‘incoming called-number’ and ‘answer-address’ then the gateway will hunt for dialpeer with destination-pattern of calling party number i.e. 01189884443. So if we have a dialpeer which says ‘ destination-pattern 0118988….’ then this will be matched. dtmf-relay should always be set to h245-alphanumeric if a Call manager is involved. Other options include h245-signal and cisco-rtp. I have used port 0/0/0:15 for an E1. The same will be 0/0/0:23 for a T1. If the call is for ‘999’ then the dialpeer configuration will be slightly different. Here I used the keyword prefix to force the dialpeer to send ‘999’ to the PSTN otherwise it will drop all the digits due to explicit match. You can also use ‘no digit-strip‘ or ‘foward-digits all’ to send all digits to PSTN. Here we cannot use ‘no digit-strip’ as it will send the leading ‘9’ as well. After matching explicitly ‘900’ will be dropped and the rest of the digits will be sent to PSTN. It depends what are PSTN requirements. If PSTN needs leading ’00’ to signal an International call then we will have to prefix ’00’ forcing the dialpeer to send ’00’ to the PSTN. Note: We can use the first dialpeer ‘9T’ for an International call as well. I created the ‘900’ one to make things more understandable. An Inbound call from Outside world over PSTN to the Voice gateway will first meet an Inbound POTS dialpeer and then an Outbound VoIP dialpeer. Lets say a caller from PSTN dials 01189884443 which hits our gateway. The company is using a DDI range of 98844XX (100 numbers). This call will first meet an Inbound POTS dialpeer and then a Outbound VoIP dialpeer. This will match any inbound call coming to this gateway. The ‘direct-inward-dial’ is used to route the called-party number (01189884443) immediately instead of providing a dial tone an waiting for digits. It’s always a good practice to use ‘direct-inward-dial’ to avoid toll fraud. A caller can dial in and after reaching the gateway can make an outside call to anywhere. Last four digits of the inbound call will be matched against destination-pattern 44.. which will then send the call to Subscriber first (10.10.200.11) and then to Publisher (10.10.200.10) due to preference command. If there is just one call manager then there is no need for the second dialpeer. The two dialpeers are there for redundancy and backup. If subscriber goes down then call will reach the Publisher. The codec class is there to match possible codec for inbound call while the h323 class is there to route between the two dialpeers. This is how a call is completed. I have just given a basic breakdown of an inbound and outbound call flow. There is a lot involved if we start using translation patterns and translation profiles etc which I will discuss in some other entry. Shouldn’t this have read CUCM instead of PSTN? Was that a typo? The ‘ incoming called-number . ‘ is used to match any number coming from PSTN. Thanks Dave. Yes that was a typo, I have corrected it now. Is it the signifiant configured on CUCM that tells to care about the last 4 digits only? Or am I missing something? Thx. Hi James you are partially right. The digits mentioned in dialpeer match the inbound call digits for e.g. a call comes in as 534421 then a translation pattern would translate it into 44.. so that it can match those dialpeers. If, however, you don’t translate and send all digits to CUCM as in 534421 with a voip dialpeer 53…. then at CUCM under gateway “Significant digits” you can mention 4 so that only right most 4 digits are taken into consideration which in this case will be 4421. Hope this helps. So, considereing I use the signifiant digits, the dialpeer with pattern 53.. would not be match and 534421 would use a default dial-peer voip ? or does the signifiant digit parameter operate before dial-peer matching? No, I am not sure if you aware of how the call flows. 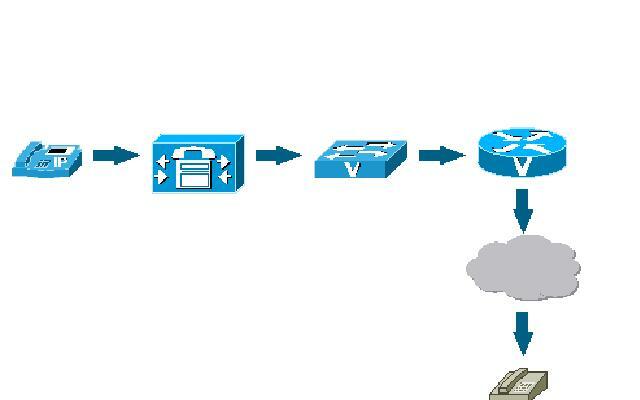 It first come to gateway, hit translation rules, hit Voip dialpeer and then goes to CUCM. The VOIP dialpeer will be matched. PLEASE PLEASE!!!! someone tell me day to day work of voip engineer & explain briefly any project. Randeep – PLEASE PLEASE read book or Google. Hello, I cannot make calls from CUCM phones via my CME SIP gateway (my SIP trunk and route patterns in CUCM are all good). My CME outoging dial peers and SIP connection is all good. Do I need to create an inbound dial peer on the CME gateway to handle calls coming from CUCM ? Hello, what error are you getting and yes it’s good idea to have an inbound viop dial peer…do a debug ccsip message and see why calls are failing. Reset SIP trunk as well. I must say you’re God sent! I thank the day I was introduced to your blog. Please keep up with the good work. Much appreciated as I have been looking for an easy way of understanding this topic.